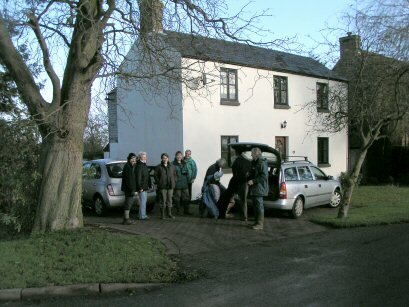 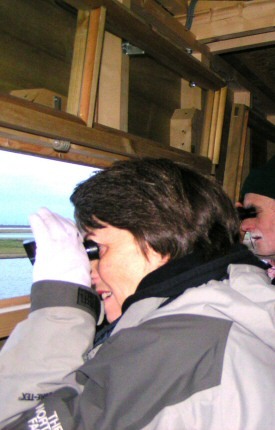 A group visit to Bill and Inger's in Cambridgeshire involved an evening excursion to see the wild swans at Welney on 3rd December 2005. 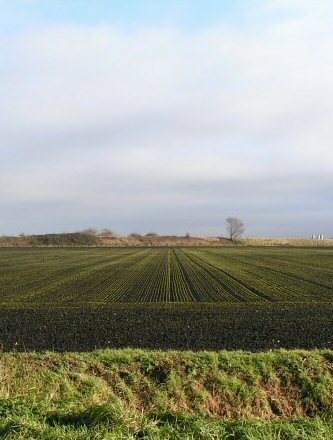 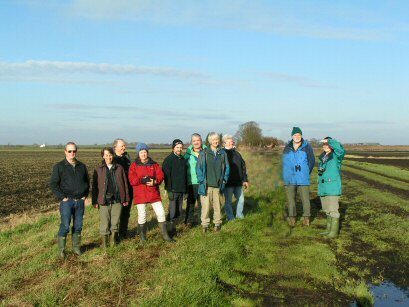 The following day we were treated to a walk in the fens on a cold, clear and sunny winter's day. 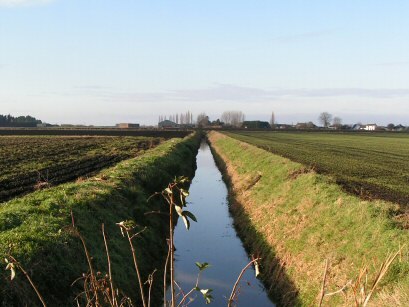 In the evening, hundreds of Whooper and Bewick Swans fly in to roost overnight on the Ouse Washes. 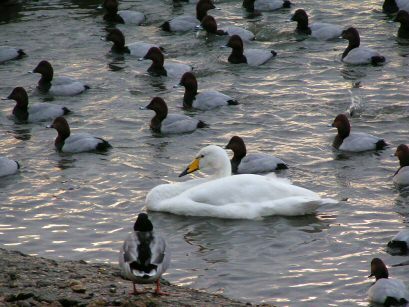 When we arrived just before sunset, we were kept amused by large numbers of Pochard Ducks immediately in front of the bird hides swimming in leisurely group circles, like some dance - maybe it's a "Pavanne of Pochards"? 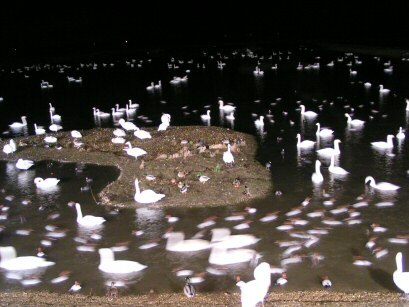 As the night falls and the wild swans arrive, floodlights are turned on to illuminate the scene. 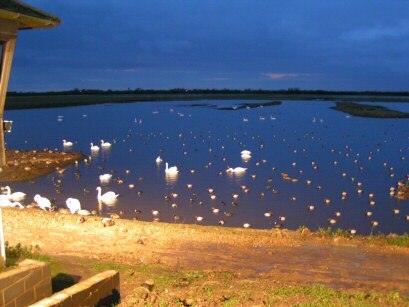 Many of the Whooper Swans are used to this, and await the evening feeding by the reserve warden. 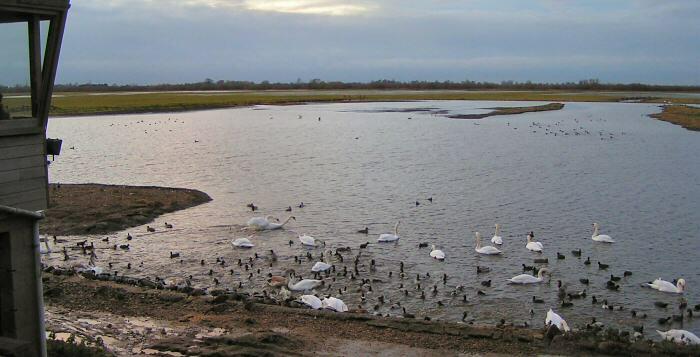 There are other birds present, of course - Mute Swans, Mallard and Coots being perhaps the most obvious. 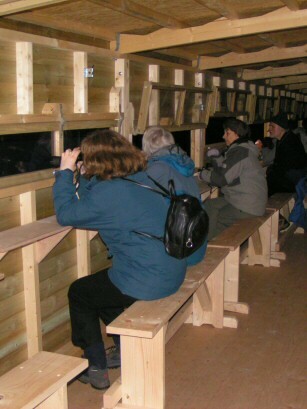 Although one part of the modern hide is heated with excellent viewing possibilities, it is perhaps preferable to go into the hide alongside, where the flaps open into the open air and the sound of the wildfowl can be heard and appreciated.